If you’re looking for dinner with a view, there may not be a better one than Eastwood’s Grill & Lounge. The restaurant occupies the space of the former Papa Cheney’s on Riverside Dr. E. in downtown Windsor. With the location right along the riverfront, the second floor of the restaurant offers the iconic view of the Detroit skyline. 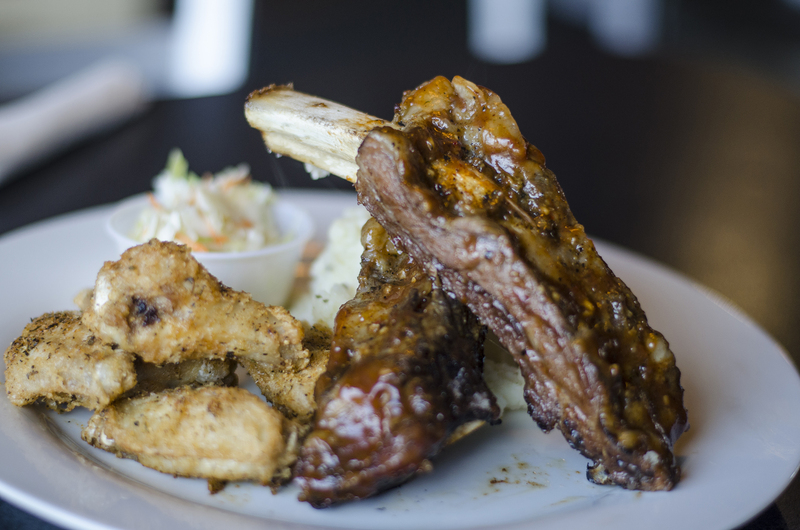 BBQ Beef Ribs from Eastwood’s Grill in Windsor, Ontario. These smoky BBQ beef ribs are smokey and served up with some coleslaw. Be sure to have plenty of napkins ready. Sausage Pepper Linguine from Eastwood’s Grill in Windsor, Ontario. 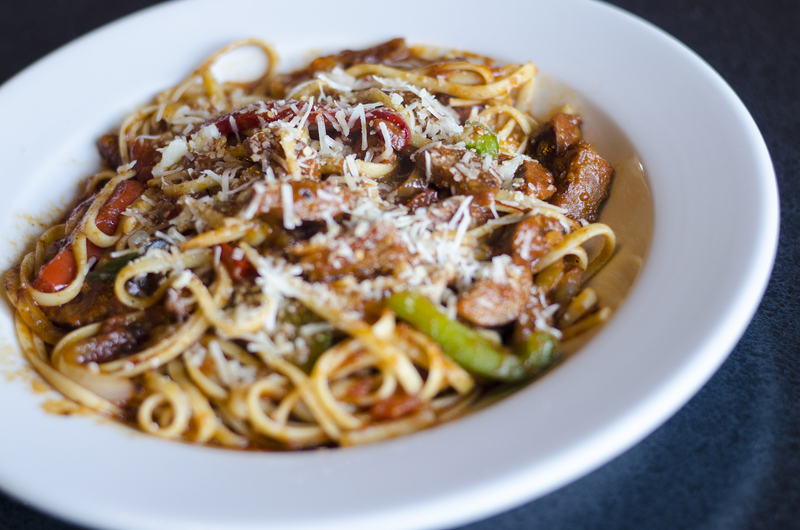 If you like a little heat in your life, their Sausage Pepper Linguine offers up Italian sausage with bell peppers, red onion, spices, arrabbiata sauce and shredded Asiago in a bed of noodles. Perch in a basket from Eastwood’s Grill in Windsor, Ontario. The waters surrounding our region are rich with perch, and that’s a good thing. 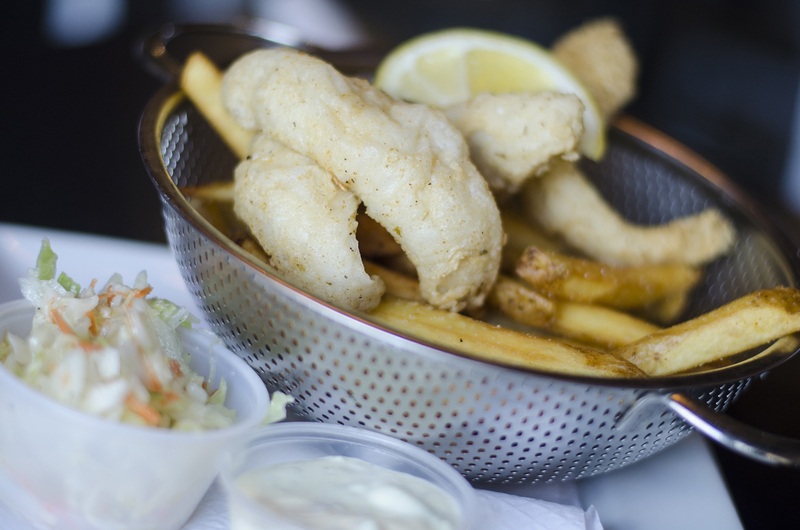 Eastwood’s offers up a basket of fries and lightly fried perch with a coleslaw and tartar sauce.